New permaculturists colleagues. Suzana, Jorge (instructors), Luiz Gustavo, Willian, André, Erick, Marcelo (inst. ), Arthur (coord. ), Ariane, Marírlia (Pedro), Leonardo, Maria Helena, Filipe, Renata, Marcelo, Luana, Manuela, Júlia (inst.) and Rosilene. 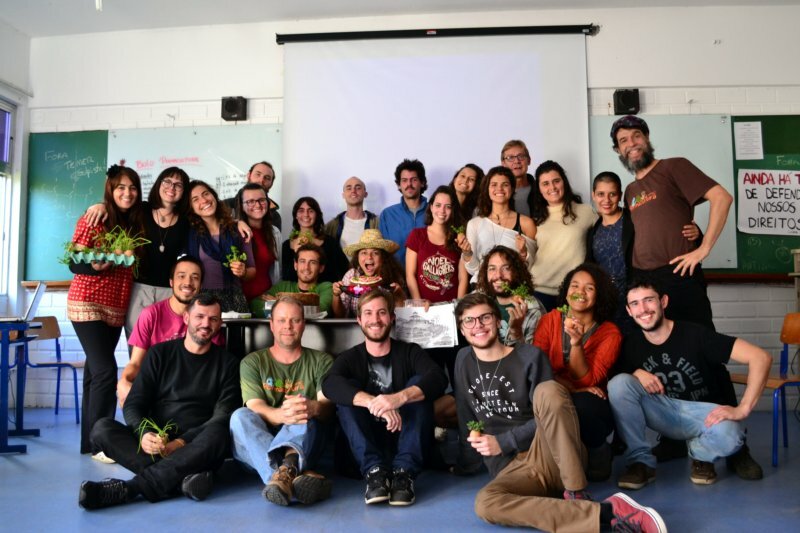 The UFSC Permaculture Study Group (NEPerma/UFSC) has finished last week the first permaculture design course (PDC) for professors and auxiliaries technicians of Brazilian federal universities. A total of 14 new permaculturists were certified by Arthur Nanni, who coordinated a team composed by Marcelo Venturi, Arno Blankensteyn, Lucas Espírito Santo, Renata Palandri, Yasmin Monteiro, Jorge Timmermann, Suzana Maringoni and Júlia Lahm. The course also had the participation of doctor César Siomionato and logistic support by permaculturist Pedro Buss. 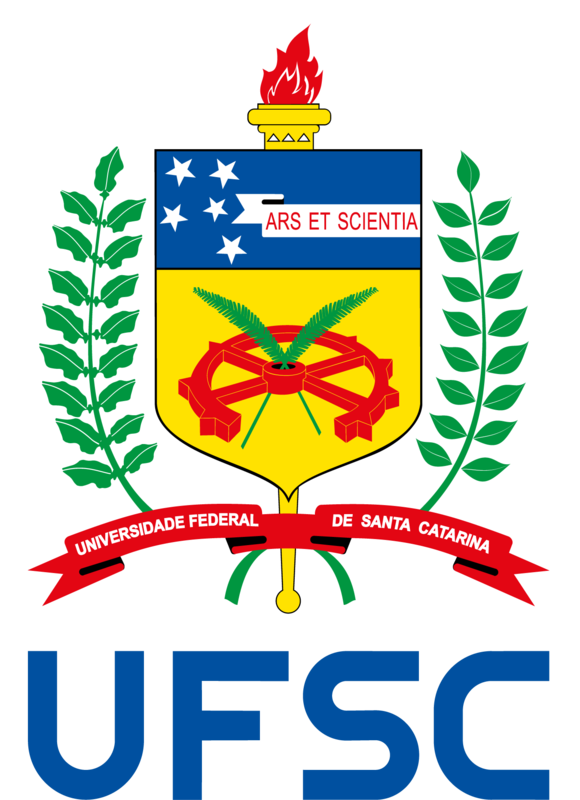 The first course aim was to establish a UFSC permaculturists’ professors internal network. 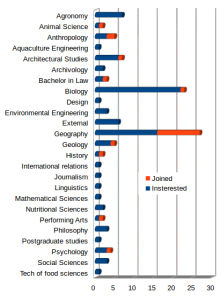 However, a external demand from another universities in Brazil, have changed this objective to embrace this community too. It was the case of professor Manuela Pereira, who teaches agroecology at Federal University of South Border (UFFS – Brazil). 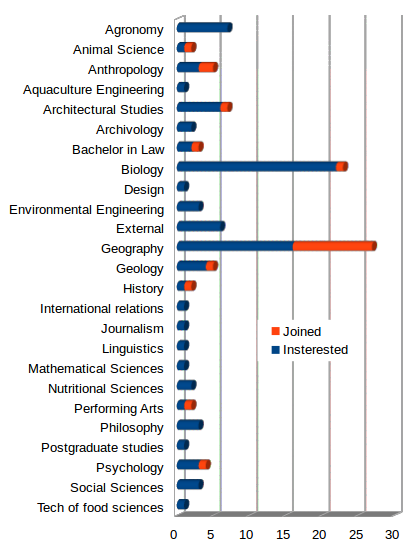 Other colleagues from more four universities were included as participants. 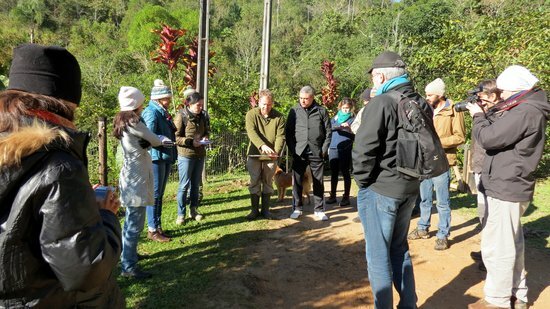 Participants on recognising permaculture energy zones in Igatu small farm at São Pedro de Alcântara municipality. Photoby Rosilene Pereira. 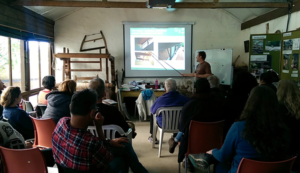 After 80 hours of sharing knowledges, the course showed the scientific fundamentals of permaculture, it logic and applicability to educate people for life. 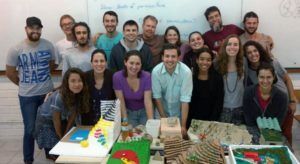 The final design project developed by participants involved a permaculture undergraduate curriculum definition and an ideal campus to host this undergraduate program at UFSC, thought as an element, including it necessities, characteristics and functions. 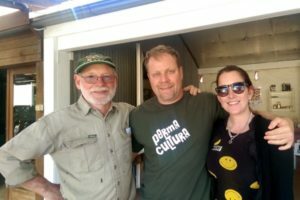 As a extra result, it can be highlighted the creation of Brazilian Permaculture Study Group network, by having NEPerma/UFSC as responsible for its articulation. 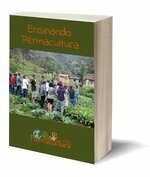 Other result was the decision to create a scientific journal in the permaculture thematic. Finally, NEPerma’s team have decided to offer each two years a new edition of PDC4academy. The next edition is expected for 2019 when the coordination will be by permaculturist Marcelo Venturi.